There is an old saying, “Smile and the whole world smiles with you.” And it turns out it is true – an attractive smile influences everyone you meet. Your smile can be your best tool in social and work situations! But what if your smile isn’t exactly where you want it to be? What if you want to improve your smile? At Warner Lakes Dental we love giving people brilliant smiles because we truly believe everyone looks much better when they smile. However, if you’re afraid of smiling because your pearly whites aren’t so pearly white any more or perhaps there are one or two missing, then it’s definitely time to consider a smile makeover. A smile makeover includes any combination of dental treatments for an aesthetic improvement. A smile makeover is a change in the lower third of a patients face, but the effects it has can alter the appearance of the entire face, and even make everything about you look better! Most people say that a person’s face and attitude seems to change when they smile. In fact, psychological tests show that people are more likely to feel better about someone who appears with a smile as opposed to a person who has a neutral expression on their face. People also tend to behave differently around smiling, attractive people. Penn State University has performed studies that found that smiling people appear more trustworthy, relatable, courteous and reliable. People trust you more as it gives you the appearance of sincerity and joy, and people are drawn to these qualities in a person. This means that an attractive smile can be a powerful tool on your road to success! They have lost teeth in areas of the mouth that affect their look. They have been in an accident that has harmed the way their teeth and gums look. Improper dental care has led to teeth that are decayed, damaged, discolored, cracked and/or broken. Painful swollen and bleeding gums. Dental challenges as the result of medical issues and/or medications. The smile makeover begins with an initial consultation including a detailed discussion of your needs and wishes, as well as an assessment of your oral health. Treatments can involve a range of procedures, including teeth whitening, veneers, implants, Invisalign braces, bonding, new fillings, and gum contouring. Which treatments are chosen depends on your particular issues and desires. Below, we discuss some of the more popular treatments in detail. Dental implants are small, thin, metal rods, which are designed to replace a tooth root. If you have lost one or many teeth or have badly damaged teeth then implants are a good choice. Teeth Whitening can address an issue for many people, that of dingy or discoloured teeth. We all begin with ‘pearly whites’ but as time passes, food, drink, smoking and other factors cause our teeth to stain and darken. In office, or take home professional whitening can address this problem. Porcelain veneers are very thin shells placed over the front of your teeth to improve their appearance. They can cover discoloured teeth, cracks, gaps, and more. Invisalign braces are transparent which means they are practically invisible. They are used to bring misaligned teeth back into line. Laser gum contouring can be used in cases in which too much gum shows when smiling. Your dentist can use a laser to trim any excess visible gum. The laser minimises any bleeding and is both safe and effective. Composite bonding is a cosmetic technique in which a composite resin is shaped and molded onto your teeth to create a straighter, whiter smile. Bonding can be used as a cosmetic solution to chipped teeth, gapped teeth, and staining of teeth or fillings. Frown or smile lines, or ‘laughter lines’ and furrows on the forehead, are signs of ageing process. Related problems include thinning lips and sunken cheeks. One solution to these lines is Botulinum toxin, which smoothes them out as well as reducing the amount of facial muscle movement. It’s this movement by your facial muscles that is responsible for your lines and wrinkles. Dermal filler can also achieve the same effect. Depending on what your needs are, you can opt for a single technique or as many as you want. Your Warner Lakes dentist will consult with you to determine what treatments are appropriate and economical. 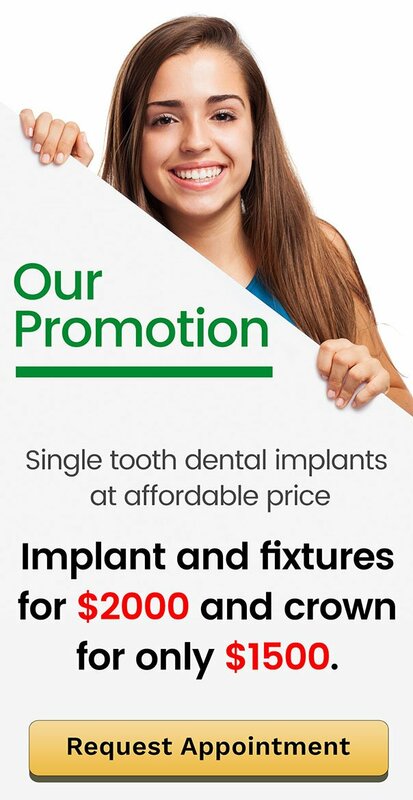 Affordable composite / porcelain veneers in Warner, Warner Lakes, Joyner, Whiteside, Cashmere, Albany Creek, Aspley, Bridgeman Downs, Strathpine, Brendale, Bray Park, Eatons Hill, Griffin, Lawnton, Petrie, North Brisbane and Brisbane. At Warner Lakes Dental your oral health is important to us. We provide gentle, quality care for conditions ranging from tooth replacement to simple cleaning and polishing.